The Xpress Building Design team has designed well over 6000 houses in the past 15 years, most of which were dual occupancy or multi-unit developments and in that time our clients have always challenged us to push the boundaries and try and squeeze as much as physically possible in all our designs. And we’ve gotten good at it. Very good! We’ve ALSO spent thousands of hours in council meetings and have become extremely familiar with all the ‘grey areas’ of the planning schemes that the councils follow. So not only do we create space efficient designs, but we actually have over a 98% success rate at pushing them through the town planning process. And the other 2% was mostly due to to factors outside of our control like too many neighbour objections or the client insisting on pushing the council further then we recommended. Now you may think we’re hyping ourselves up, but that’s just our passion for the results we’ve seen. To give you an idea, one of our clients came to us with a design from another designer a few years back for a 591sqm site. 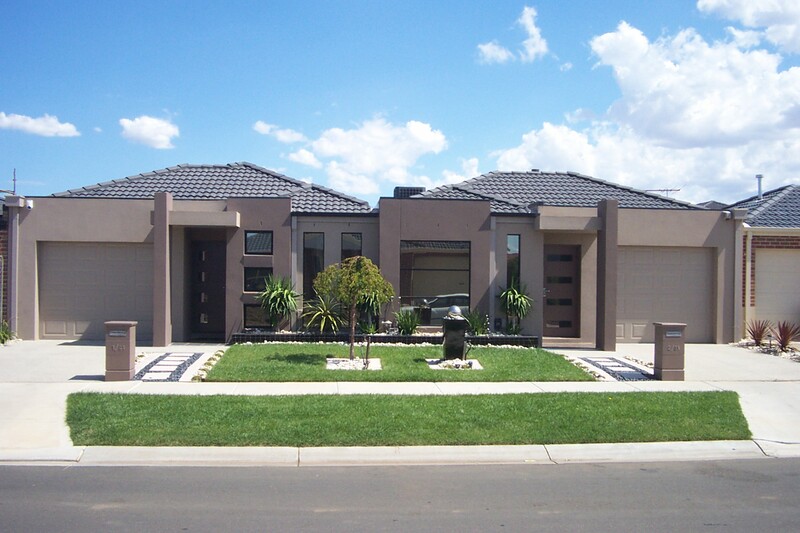 It was a 2 unit single storey design, and each unit had 3 bedrooms and a garage. Each unit would of gone for roughly $320k. We insisted on scrapping it and 5 days later we had created a 3 unit double storey design where each unit had 3 bedrooms, a garage, an ensuite AND a study. That design turned into $1.2 million worth of sales a few months later.